Hasn't happened this year. Yet. In past years, I've blended the cheese in the Cuisinart with the other ingredients, but this year, following an Internet recipe, I stirred in the grated cheese at the end. I liked that better. 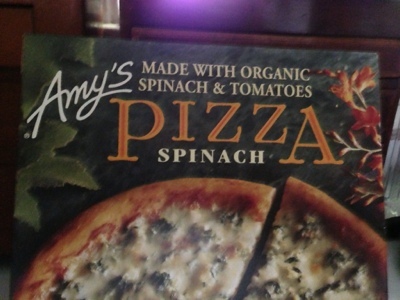 To me, Amy's spinach pizza, now in the Costco freezer section, is missing pesto. I saw the green and expected a pesto taste, but it's a mild spinach flavor.